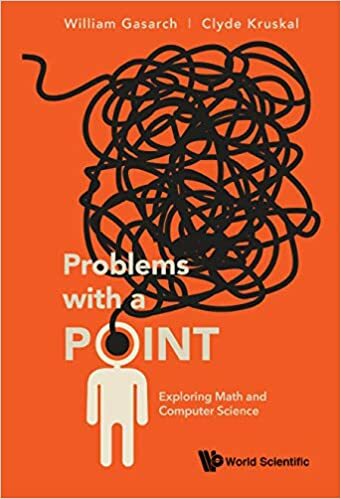 Computational Complexity: Review of Lipton's Book-Blog/Review of Goldreich and Arora-Barak/New Book Review Column/Do you want to review? Review of Lipton's Book-Blog/Review of Goldreich and Arora-Barak/New Book Review Column/Do you want to review? My review of Lipton's new blog-book is here. It will appear in my SIGACT NEWS at some later time. Daniel Apon's joint review of Computational Complexity: A Conceptual Perspective by Oded Goldreich and Computational Complexity: A Modern Approach by Sanjeev Arora and Boaz Barak is here. It will appear in my SIGACT NEWS at some later time. HERE. is a link to the list of books I want reviewed If you see a book you want then email me at gasarch@cs.umd.edu the name of the book and your postal address. We will then work out details over email- when the review is due, and whether me or the publisher sends it to you. Before volunteering you should read my advice for reviewers. Here is the LaTeX Template. your book reviews are worse than your blog posts. 1) here were some broken links but they are fixed now. A challenge: pick criteria to make department X first, for as many X as possible. Last Anon- THanks, I have fixed it. That was a thorough, well-conceived review, and although I have not looked at the Arora-Barak text, the Oded Goldreich text was indeed outstanding in the respects described by the review. In particular, Oded's numerous pedagogic asides were helpful to, and greatly appreciated by, by least one reader. I noticed that a few of the books on your to-be-reviewed list are aimed at novices. Would you be interested in getting reviews from non-experts, or do you prefer to have the reviews be from subject area experts? what topics should be there but aren't. However, the reviewer does not need to know that much crypto either. Just enough to comment on coverage. The content of the undergrad course in crypto should suffice. Small typo in Lipton's book review: "If you do better reading books then blogs" -> "If you do better reading books than blogs"
Last Anon- THANKS. I have fixed it.